Dhaka, Aug 7 (Just News): BNP secretary general Mirza Fakhrul Islam Alamgir on Tuesday alleged that the government deceived students once again through the draft Road Transport Bill approved by the Cabinet. "There's a provision of maximum 5 years' jail for any death or serious injuries caused by reckless driving in the draft bill. But students demanded that the provision of capital punishment be mentioned in the law," he said. Talking to reporters after a meeting of the 20-party alliance at BNP chairperson's Gulshan office, the BNP leader said though the government assured the students of accepting their all demands, it did not keep the provision of death penalty for killing in road crash due to careless driving in the bill. "The government deceived the students again as it did the same with those waged the movement demanding reform in quota," he observed. He said there are some other inconsistencies in the bill and the students' demands are not reflected on it. "Nothing is said about the transport owners in the draft bill." The BNP leader hoped that the government will remove the inconsistencies from the bill before passing it by parliament. On Monday, the Cabinet approved the draft Road Transport Bill with a provision of maximum 5 years' jail for any death or serious injuries caused by reckless or negligent driving while death penalty for intentional murder by driving. The approval was given at the weekly meeting of the Cabinet held at Bangladesh Secretariat with Prime Minister Sheikh Hasina in the chair amid the ongoing student movement demanding safe road. 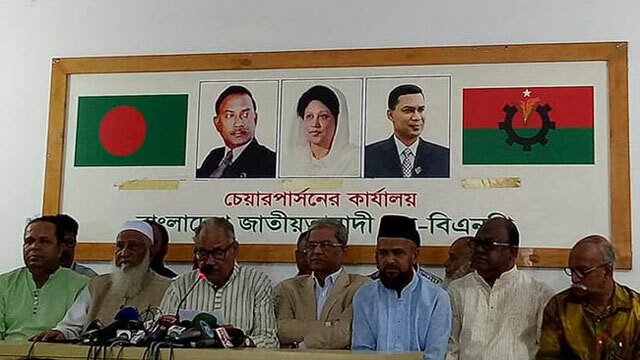 BNP standing committee member and 20-party alliance coordinator Nazrul Islam Khan said the meeting denounced the attacks on demonstrating students for safe roads by the police and 'ruling party cadres'. He said they also discussed how the government is snatching people's right of expressions by regulating the media and stoical media. "We urged the government to refrain from it."